AIA Huron Valley - AIA/WCA Event - Security Isn't Just for Jails Anymore! 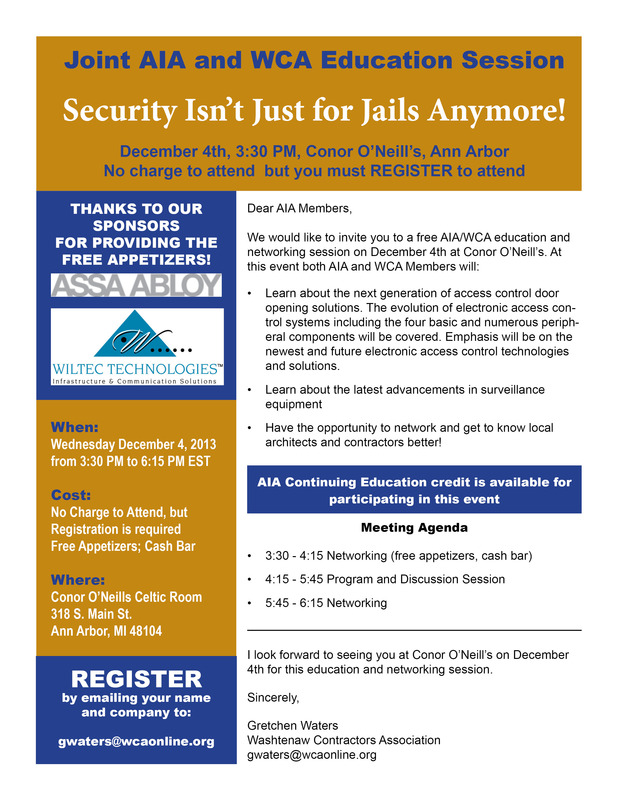 AIA/WCA Event - Security Isn't Just for Jails Anymore! Learn about the next generation of access control door opening solutions. The evolution of electronic access control systems including the four basic and numerous peripheral components will be covered. Emphasis will be on the newest and future electronic access control technologies and solutions. Have the opportunity to network and get to know local architects and contractors better!